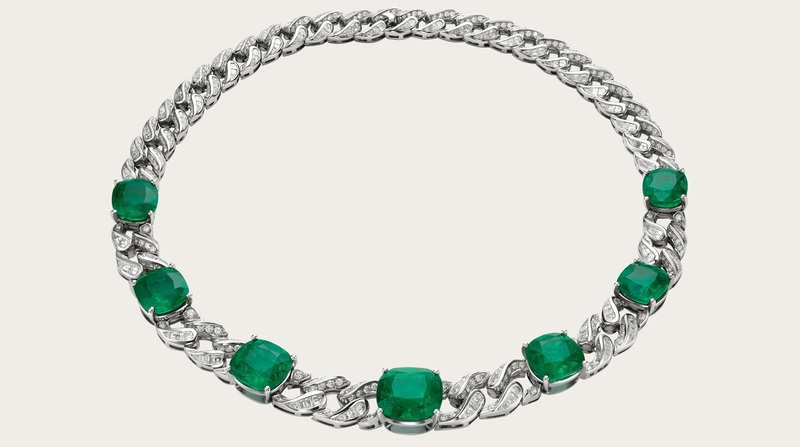 Bulgari is one of the oldest Italian jewelry houses dating back to 1884. 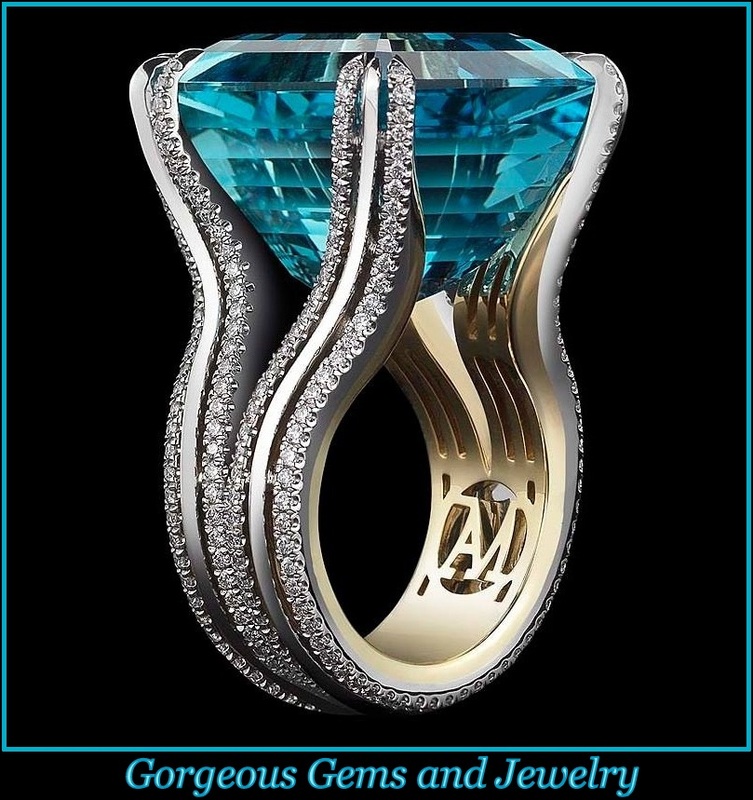 The trademark is usually written BVLGARI in the classical Latin alphabet, and is derived from the surname of the company’s Greek founder, Sotirios Voulgaris (Bulgari is the phonetic version of Voulgaris’s name). High Jewellry necklace in platinum with 7 cushion shaped emerald (56.4 ct), fancy shaped step cut diamonds and pave diamonds (19.23 ct).